There are headlines you read and you just cringe. It makes you think for a second. It makes you reboost your spirit, soul, mind and body. It makes you to just keep pushing and tell yourself, despite this situation I find myself in, I am going to be more than victorious at the end. Trials will come, oh yes they will come but what you do after they come is what determines how your story will end. You trials don't determine your story, you determine how your story will end. Your journey determines how your destination will look like. called her all sorts of names but did it allow her lose focus in life? Focus not. In the end, her and her lovely son graduated with a Doctorate degree at the same time and from the same school. This headline is for those in in High schools or Universities who you might have been laughed at and called a geek. That you know nothing but your books. That after all these let's see how your life will end. Or, that you are only passing with good grades because of the school you are in. Let's see if you will make it in any other school with tougher standards etc. Or people that might have failed one exam or gotten lower grades in the beginning and are wondering if they will ever get to the finish line with excellent grades. YES YOU WILL! And guess what, you will be celebrated by the world. The world will carry your great news of achievement and accomplishment. I am very sure when this teen was selling newspapers during High school for all those years, he might have lost so many friends. He might have been bullied. 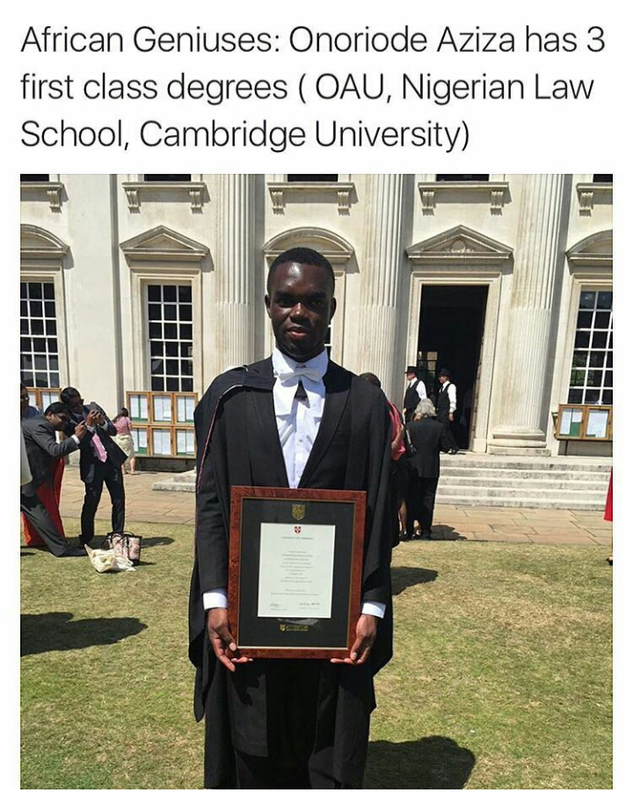 He might have been considered poor probably because he isn't from an affluent family. 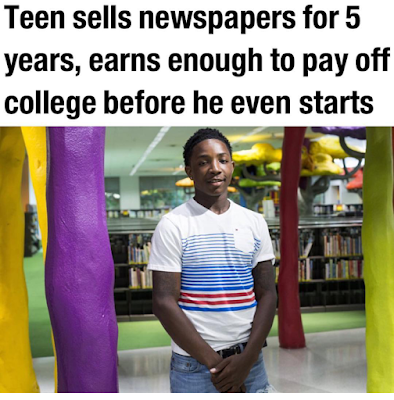 Well news flash, while those who were mocking him are busy collecting student loans and depending on their parents or relatives, he has more than enough to train himself in college, for him to stand on his two feet without needing anyone and for him to help the needy. Like they say, he who laughs last, laughs best. Many might have made fun of you that what will you gain in so so and so thing you are doing. Can the pennies you earn sustain you but they fail to remember that a drop of water makes a mighty ocean. Your head up, your shoulders high, keep doing what you are doing. As long as it is legal, it will make you laugh and shed tears of joy in the future. The grass might not look green now but as long as you keep watering it, it will not just be green later on but it will look like a well water & nourished grass. Friday Inspirations: From A Banker To A Successful Puff Puff Seller http://www.chidinmainspirations.com/2016/05/friday-inspirations-from-banker-to.html?spref=tw … or you can search this blog for previous Friday Inspirations with the hashtag #FridayInspirations to not feel left out.